For a full century before Richmond Public Library was established, the City of Richmond saw many attempts to create a place where its citizens could go to learn, relax, and read to their hearts’ content. As early as 1812, there were attempts to create libraries for public use, though few of them would be what we would consider a public library today. 1840s The earliest “public library” in Richmond that was also supported by the City was located near the corner of 11th and Marshall Streets in a building called the Athenæum, where a two-room library was created. The rooms were divided into two areas known as the “City Library” and the “Historical Library.” World-renowned contemporary authors such as William Makepeace Thackeray (author of the classic novel Vanity Fair) frequently lectured there before it eventually closed; the Virginia Historical Society met there, and the library featured the work of local sculptors as exhibits. Grace Arents, having recently moved from Manhattan to Richmond, joined with her friend Annie Woodlief Jeffrey to start a circulating library in Richmond. Though the venture fizzled in 1880, it was a precursor of Arents’ work in the field in years to come. Thomas Nelson Page – lawyer, author, and eventually ambassador to Italy under Woodrow Wilson’s administration – founded a library at 201 West Cary Street called the Rosemary Library for Boys. Initially a reading room for boys, it moved a year later to 201 East Main Street and expanded into a larger library with Ms. Sallie G. Keane appointed as the librarian. The Rosemary Library, still growing and serving the needs of many Richmonders, moved again. Taking up a new residence at 327 East Franklin Street, the library began charging dues: $1.00 for “working people,” and $3.00 for all others. 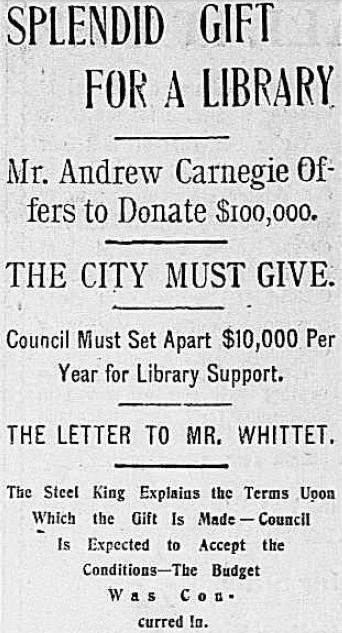 On March 2, philanthropist and steel baron Andrew Carnegie offered $100,000 to the City of Richmond in order to build a public library for the City. The City Council seemed to be receptive to the idea initially, going so far as to select Trustees for the Library, drafting a recommendation for a site for the proposed building, and allocating $22,000 to purchase it. After further consideration, however, the Finance Committee rejected the recommendation. This was partly due to a concern that Carnegie’s gift would require that the library be open to all races, but also a concern that the annual maintenance fees he suggested could be better used for school and the water system. Philanthropist and reformer Grace Arents, niece of local tobacco and real estate magnate Lewis Ginter, founded the St. Andrew’s Library at 224 S. Cherry Street in the City’s Oregon Hill district. 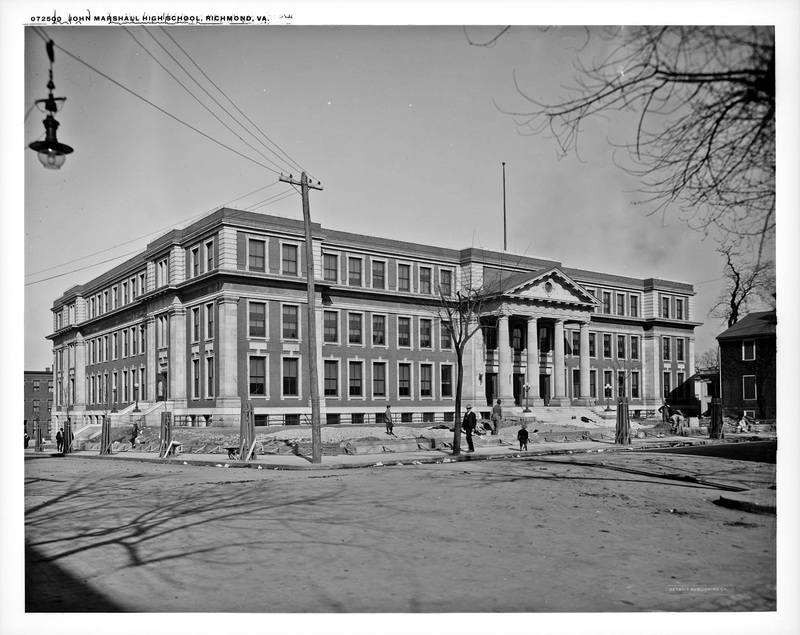 Arents had founded the school in 1894 and, by 1902, work was underway to build a large complex at the St. Andrew’s campus that included a church, housing, and a medical clinic. library offered by Carnegie, demand was growing. Andrew Carnegie was approached again by Mayor Carlton McCarthy – this time Carnegie offered $200,000 along with a requirement that the City appropriate $20,000 annually for maintenance and purchase of the building site. Unfortunately, similar to the previous attempt, the Finance Committee declined to accept the donation. Despite the City’s previous setbacks and anticipating a forthcoming public library, Dr. George Woodbridge entrusted his personal library of more than 700 titles to the mayor of Richmond. The stipulation for the donation was that they were to become part of the Richmond Public Library, if one was created. January 1: Arents Free Library opened its doors as the first free public library in the City of Richmond during the 20th Century. In a joint venture with John Marshall High School, the Rosemary Library moved again to a location between 8th and 9th Streets and became the high school’s library. It was open from 8:30 am to 3:30 pm for students and to the public from 3:30 pm until 9:30 pm. May 4: The John B. Tabb Memorial Library for Children opened in the State Library building. 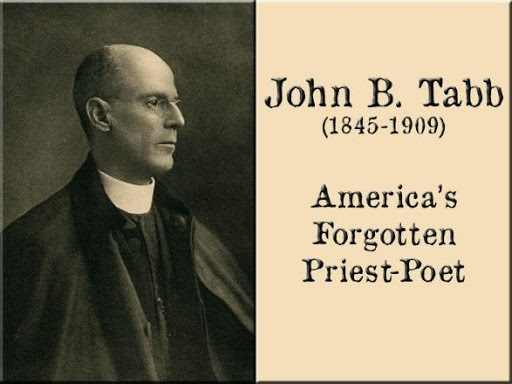 It was the culmination of the John B. Tabb Memorial Association’s efforts, headed by G. Watson James, and it included more than one thousand volumes. Miss Elizabeth Knox was named as the librarian and continued in that post until the library was added to the Richmond Public Library’s holdings in 1926. November 16: City Council passed an ordinance providing for a bond issue of $200,000 for the purchase of a site, construction of a building, and purchase of equipment. The cost of books and maintenance was not included. March: The Library Board chose the former home of the late Major Lewis Ginter at 901 W. Franklin Street for the library building. The building was purchased from his estate, managed mainly by Grace Arents, for $112,000. May: City Council made available operating expenses of $20,000. June 1: Librarian Thomas Parker Ayer became the City Librarian. A native of New Hampshire and graduate of Brown University, he had served as Librarian of the Federal Trade Commission and as a reference assistant in the Library of Congress. October 13: Richmond Public Library opened at the Ginter House with a collection of about 20,000 volumes. The collection incorporated donated family libraries as well as the John B. Tabb Library, the Rosemary Library, the City Government Library, and a variety of collections that had been donated and held in storage. July 27: A first branch opened at the Phyllis Wheatley Branch of the YWCA at 515 N. 7th Street to serve African-Americans. The branch was open 4:00 pm to 9:00 pm weekdays and occupied two rooms on the second floor of the building, free of rent. Two schoolteachers operated the branch. September: Details of the will of Mrs. Sallie May Dooley became public. She left $500,000 to the City to purchase a library site and to build and equip a public library in memory of her husband, Major James H. Dooley. December 2: This first branch was named the Rosa D. Bowser Branch. Library users selected the name to honor Richmond’s first female African-American schoolteacher (1855-1931), who began her career in 1872 at Navy Hill School. A community activist as well as a teacher, Mrs. Bowser helped form the Virginia Teachers Reading Circle, founded the Richmond Woman’s League, served on the executive board of the Southern Federation of Colored Women, helped found the National Associate of Colored Women’s Clubs, and helped found the Women’s League Hospital and Training School. June 20: Following her death, Grace Arents bequeathed the Arents Free Library to the City of Richmond with an endowment of $100,000 with the stipulation that it be used as a branch library. 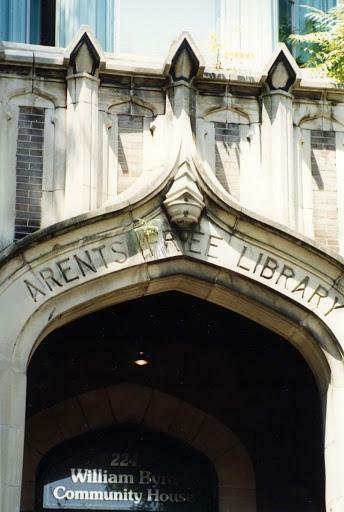 The Arents Free Library became the Arents Branch, the first branch in the system. The library established the Schools Division of the juvenile department, and began the practice of deposit book stations, usually in public school libraries at a distance from the public library. The stations would then be open to adults in those school neighborhoods to check out books. This practice grew into deposit collections of about 25 books each in school classrooms. Staff from the Schools Division visited schools three or four times a year to shift the classroom deposit collections. Starting with four schools in its first year of operation, it served 40 schools at its peak. The library also began the work of supplying public hospitals with books. The hospitals librarian visited each of these hospitals weekly, taking books to patients and making notes of their requests for books to bring on her next visit. Author Ellen Glasgow is invited to join the board or RPL. March 14: Ellen Glasgow shares letters with Director Ayer expressing her strong opposition to censorship in a public library. 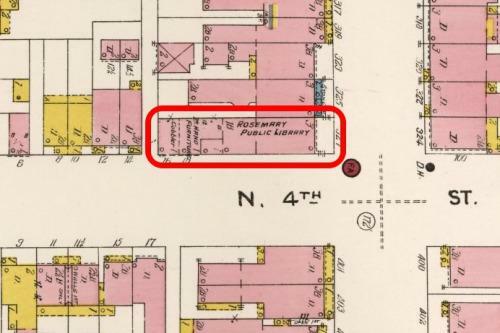 May: The Library Board chose 1st and Franklin Streets as the site of the Dooley Library. Cost of the site: $140,000. November: The Library Board chose the firm Baskervill and Lambert as architects for the Dooley Library. Baskervill and Lambert would work with Edward L. Tilton to complete the design for the library. Tilton designed buildings for Ellis Island as well as over fifty libraries. 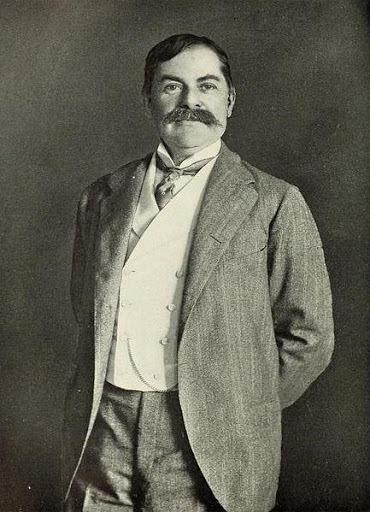 December 1: Library Director Thomas Ayer resigned. July 16: Mr. Ayer returned as Director. August: Clearing the site at 1st and Franklin began. September 3: In spite of thousands of petition signatures and support from business and civic boosters, City Council defeated a proposal to purchase the entire block between 1st & 2nd street on Franklin to allow for future expansion of the Dooley Library. January 15: Excavation of the site began. 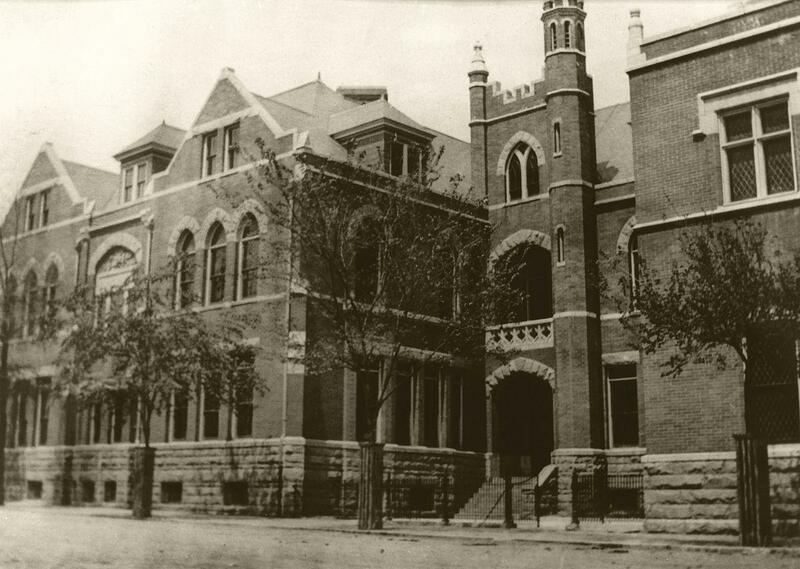 June 22: Cornerstone for Dooley Library laid at 1st & Franklin by Richmond Lodge Number 10, A.F. & A. M. In the cornerstone is the will of Mrs. Sallie May Dooley. October 29: Stock Market Crash. July 19: The Dooley Library opened to the public. Outside walls were of George Washington stone, quarried at Aquia Creek, Virginia. Within the walls of the main front stair hall, stairway and the wainscot of the lobby (now the Dooley Foyer) are Italian Montanelle marble. The walls of the lobby (now the Dooley Foyer), above the wainscot, are of Italian Travatine. The total cost of the building was $543,000. Library staff moved 70,000 books and magazines from the old library building to the new one in just 3 days. December 15: Dooley Library dedication ceremony. August: The Board of Alderman approved purchase of the Dill House at 00 Clay Street to house the Rosa D. Bowser Branch. In 1922, the Council of Colored Women, in which Maggie L. Walker was a leading spirit, purchased the building for its headquarters. November: The Rosa D. Bowser branch opened at 00 Clay St. and occupied the site until 1965. The building was briefly used by Open High School and then in June 1991 opened as the location of the Black History Museum and Cultural Center of Virginia. The Forest Hill Community Library was organized in the Parish House of the Episcopal Church of the Good Shepherd to serve the Forest Hill Park, Woodland Heights, and Westover Hills neighborhoods. The Forest Hill Community Library moved to the Old Stone House (Rhodes House) in Forest Hill Park. September: African-Americans filed petition in U. S. District Court seeking equal access and service at the Dooley Library. The petition is denied. A chest containing the official records, proclamations and documents of the Richmond Bicentennial Celebration of 1937 was placed over the entrance to the general stack section on the main floor (now part of the Children’s Department) to be opened in 2037. It contains a copy of the 1937 telephone directory, copies of special editions of Richmond newspapers, copies of proclamations by the Mayor during the bicentennial events, a copy of a manuscript of the bicentennial pageant “Cavalcade of the Cavaliers,” and a passbook for a $5.00 deposit, which was anticipated to give the Tercentenary Commission a start in financing the 300th birthday celebration. February: The Forest Hill Community Library became a branch of the Richmond Public Library and was named the Forest Hill Branch. November: The Music Department opened in space on the ground floor, weekday afternoons and Tuesday and Thursday evenings. The Library was finally able to make accessible music materials that had been in storage. Music lovers were now able to check out chamber music scores, sheet music, and phonograph records of classical music. Future plans included adding a listening room. The Wallerstein Foundation, set up in 1943 in memory of Clara Ullman Wallerstein, supported the music collection with funds to purchase materials. 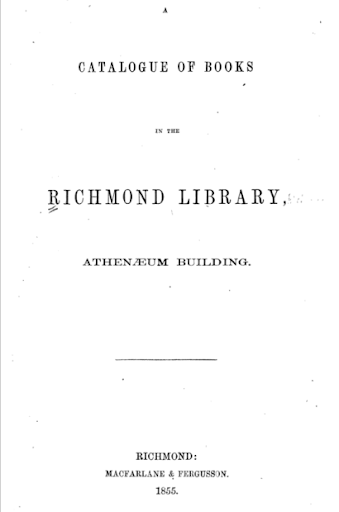 June 29: The Arents Library was returned with its endowment to the Trustees of the donor, and closed as a branch of the Richmond Public Library. The interest on the original endowment was no longer enough to maintain the library. 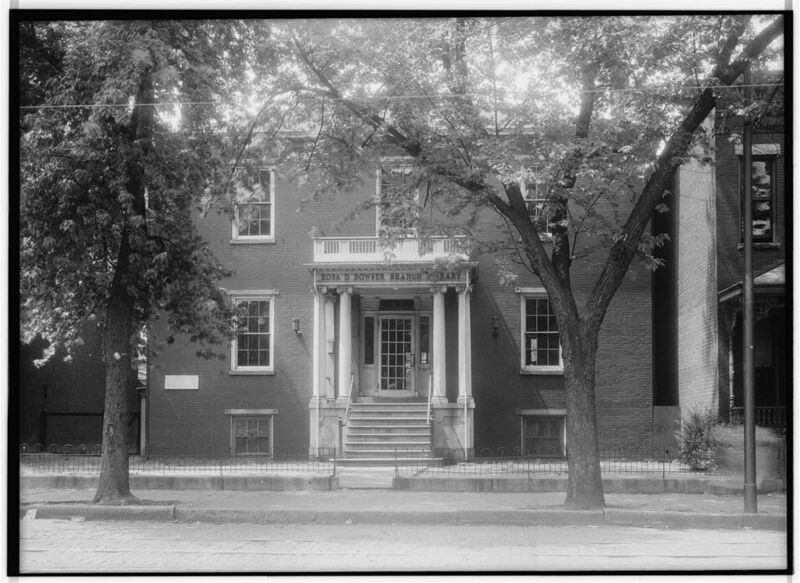 The Arents Library moved to the William Byrd Community House at 221-223 S. Cherry St. in May 1947. May: The Richmond Public Library Board voted to integrate the Library, effective June 1. The Leigh Street YMCA’s Business and Professional Men’s Council was instrumental in petitioning the Board to provide equal access. This organization was also instrumental in the 1946 appointment of the first African-Americans to the City’s police department. Richmond Public Library began rotating collections of periodicals and books to Richmond firehouses for use by firemen. March: Council approved an ordinance for acquisition of land at Belmont and Ellwood for a new library branch. The site was occupied by the home and laundry business of Woo Fong, who was forced to move his family. The architectural firm of Budina and Freeman was commissioned to prepare plans for the new branch. June 30: Mr. Thomas Ayer resigned as Library Director. July 18: Mr. C. Lamar Wallis became the new Library Director. Mr. Wallis had been director of the Galveston, Texas city and county library and a former president of the Texas Library Association. The Library Board and the City Council approved a recommendation that the second floor west wing (now housing the Library’s Administration offices) be renovated and equipped for a department of music and other fine arts. April: Groundbreaking for the Belmont Branch. June: Mrs. Samuel H. Gellman came forward with a gift of $5,000 to equip a memorial meeting room in the new Art & Music Department, for music listening, films and similar uses with groups. October: The new Art & Music department opened on the 2nd floor of the Main Library. October 25: Belmont Branch Library opened at 3100 Ellwood Avenue and dedicated in a ceremony that honored former director Thomas Ayer. December 1: The new music room is dedicated as a memorial to Samuel H. Gellman, a Richmond attorney active in civic affairs and a supporter of music programs in the City. Planning for the Westover Hills Branch began. Budina and Freeman were commissioned to prepare plans. February: Council approved the purchase of a site at Devonshire Road and Westover Hills Boulevard. November: Groundbreaking for the Westover Hills Branch began. Lamar Wallis resigned as Library Director. February 3: Howard M. Smith, new Library Director, started work. Mr. Smith was a native of Charlotte, North Carolina, who had grown up in Norfolk and attended the University of Virginia. 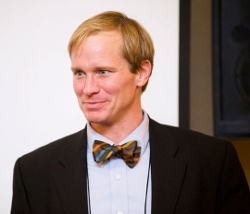 He received his graduate degree in library science from the University of Michigan and came to RPL from Philadelphia Public Library, where he had been Personnel Chief. April 15: Friends of the Richmond Public Library held its first annual program. The Friends organized and began recruiting members in February. Membership dues were $1.00 annually. July 9: Westover Hills Library at 1408 Westover Hills Boulevard held an open house and dedication in the evening, and opened for business on July 10. The Forest Hill Branch in the Old Stone House in Forest Hill Park closed and the books were moved to the Westover Hills branch. September: Miss Carrie Anderson, RPL music librarian, began broadcasting her popular, hour-long classical music program from the Library’s music room. The program aired weekly on WRFK-FM. Ms. Anderson had started the broadcasts at the station in 1957. November: Library supporters incorporated a Richmond Public Library Foundation. This foundation effort did not operate for very long. February: E. Claiborne Robins donated funds to the Friends of the Library to purchase a bookmobile. May 14: The RPL Bookmobile began service with regular stops in the City. “Nellie Belle” was the name of the bookmobile. March: Plans for a branch in Ginter Park were unveiled. Budina and Freeman were selected as the architects. April: Council debated sites for a branch in the East End. July: Groundbreaking for the Ginter Park branch. The Main Library is fully air-conditioned. The Art & Music Department had already been air-conditioned. January: Property purchased for the East End Branch at 25th and R Streets. Property purchased to expand the Belmont branch. May 13: Ginter Park Branch at 1200 Westbrook Avenue held an open house and dedication ceremony in the evening. The branch opened for business on May 14. The cost of construction of the building was $140,000. September: Plans for the East End Branch were unveiled. November: A small park on Franklin Street adjoining the Main Library was dedicated. Sponsored by the Tuckahoe Garden Club, the garden made beautiful and useful a space slated for eventual library expansion. July: East End Branch opened with limited services. November 14: East End Branch fully opened and dedicated. Cost of construction was $127,000. The Rosa D. Bowser Branch closed. June: The expanded Belmont Branch opened. With the end of the 1965-1966 school year, the Schools Division of the Richmond Public Library ceased operations. With the establishment of neighborhood public library branches and the growth of public school libraries, the need for the services of this department had decreased. Serving 40 schools at its peak, by 1966 the division was serving only 22 schools. September: Plans for expansion of the Main library approved by the City Planning Commission. Baskerville & Son was selected as the architect. September 15-17: Celebration and dedication of the expansion of the Main Library. The expansion tripled the capacity of the Dooley Library, now the Dooley Wing. The new building covered 140,200 gross square feet included 26,400 square feet of stack area. The exterior of the building was sheathed with Kasota Stone. Cost of expansion was $5,000,000 and work was completed by J. A. Jones Construction Company. Library design consultants were Emerson Greenaway and J. Russell Bailey. Richmond native and author Tom Wolfe was the featured speaker at the formal dedication ceremonies and noted author and historian Virginius Dabney was the Master of Ceremonies. In the expansion, the Art & Music Department and the Gellman Room moved to the first floor into the space previously occupied by the Reference Room, the card catalog room, and the Reading Room of the Dooley Wing. The Literature and History Department moved to the new addition on the first floor, the Circulation Department relocated to the new entrance, and the Business, Science & Technology Department on the second floor. The Children’s Department remained on the lower level. Also on the lower level in the new addition were additional meeting spaces and a 250-seat auditorium. December 31: Broad Rock Branch opened. The formal dedication ceremony was held on April 15, 1977. September 25: West End Branch opened. December 7: West End Branch dedicated. October: A kiosk branch opened at 10th and Marshall Streets. A 20 square foot facility with 3,000 books, the kiosk served downtown workers. July 15: North Avenue Branch opened. August 3: North Avenue Branch dedicated. July 23: Robert N. Costa started work as Library Director. August 3: Howard Smith resigned as Director. January 15: Hull Street Branch opened. July: Main Library becomes repository for Richmond City Records. City Records Manager joins library staff. April: Richmond Public Library’s RICHCAT, its online catalog, goes public. RPL awarded an MCI Communications Corporation LibraryLINK grant to bring free public access to the Internet. November 4: RPL becomes the first library in the area to offer public internet access. December: Director Robert Costa retired. May: Richmond Public Library Foundation organized. The Foundation develops, administers, and allocates private funds that provide the extra margin of excellence for the library system by enhancing public support for the library and its programs. September: Robert Rieffel began work as Library Director. July 24: Library Park opened behind the Main Library. March: Gates Foundation gave RPL a $189,982 grant to purchase 36 computer workstations, including internet access, for use at the City’s nine public libraries and to establish a regional computer-use training lab at the Main Library. October 5: the Main Library joined the First Friday Art Walk. February: the City of Richmond and the RPL Foundation announced the launch of a multi-million dollar fund-raising campaign called Literacy Legacy, seeking to raise a minimum of $2.8 million to revitalize, renovate and restore the City’s public libraries. The campaign was launched with a $950,000 grant from the City of Richmond, two $200,000 challenge grants from local philanthropic foundations, and $250,000 in leadership support from individuals. In addition, RPL received a $300,000 challenge grant from the National Endowment for the Humanities. The NEH funds purchased culturally diverse material and established a fund for culturally diverse programming. February: Renovations to Main completed. The subject departments combined to form the General Collections Department on the first floor. The Children’s Department moved into the Dooley Wing on the first Floor. The Martha Orr Davenport Special Collections Room opened on the lower level in the space formerly occupied by the Children’s Department. The Periodicals Department, and Computer Lab moved to the second floor. October 8-9: Ceremonies and events held to dedicate the Main Library’s renovations. The Friends of the Library sponsored a Children’s Book Festival on the October 9, which attracted huge crowds to enjoy story times, crafts and visiting children’s authors. 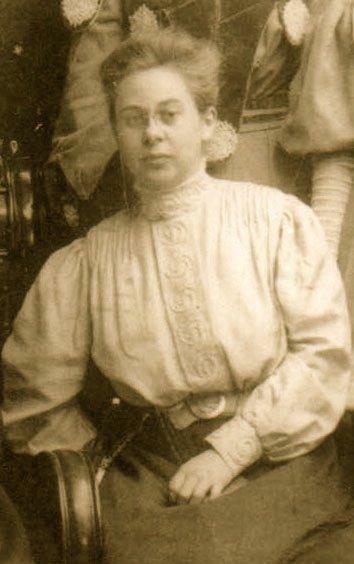 August 22: Harriet Henderson (later Harriet Henderson Coalter) became Library Director. Coalter had worked in urban libraries before, including Montgomery County, Maryland. March: RPL acquired the Public Law Library collection when it vacated the John Marshall Courthouse to make room for construction of a new courtroom. Richmond Mayor L. Douglas Wilder announced his plans for “City of the Future,” to provide needed infrastructure improvements to City facilities. $7,000,000 over five years is targeted for library capital improvement projects and upgrades. Renovations of the North Avenue Branch, Westover Hills Branch, and of the Auditorium level of the Main Library were completed in 2010. North Avenue Branch operated a small, temporary site at the former Norrell Elementary School at 2120 Fendall Avenue from May-August 2010 during the library’s renovation. October 15: Mayor Dwight C. Jones reopened North Avenue Branch. December 6: Westover Hills reopened. August: Hull Street Branch renovation is completed. September: Belmont Branch renovation is completed. The renovation featured a new glass-enclosed meeting room. July 24: Broad Rock Branch renovation is completed. A new teen area with counter seating and lots of places to plug in devices is featured. October 29: Ribbon cutting ceremony for the newly renovated East End Branch. The East End Library is the sixth branch library to be renovated through the “Building a Better Richmond” fund of the City’s Capital Improvement Plan. Director Coalter created a team to create an RFP to procure a new or updated integrated library system (ILS) or circulation system. August: Ginter Park closed in August for long-awaited renovations. The plan includes including the former garage as a meeting room space. Harriet Coalter retired. Before leaving, she steered staff and Library Board through the process of updating the 2016-2021 Strategic Plan. Deputy Director Clay Dishon was named interim director. The Library Board and staff began implementing the 2016-2021 Strategic Plan. May 9: Scott Firestine was hired as Director. Firestine had worked for a number of libraries including Appomattox Regional as Deputy Director and then Director for eight years. June 18: West End Branch closed to begin its renovation process. The addition of about 1000 square feet is planned along with an exterior terrace area. June 28: Ginter Park Branch reopened. The renovated branch featured a large meeting room, book drop, and expanded seating. The Library was awarded a Mary Morton Parsons Foundation matching grant for $100,000. The grant is intended to create a teens’ space and maker space at the Main Library. August: West End Branch reopens featuring expanded spaces for all collections, a collaborative meeting space, and new technologies for computer design and 3D printing. Director Firestine revives the ILS procurement effort. May: Staff hear presentations from three ILS vendors and work with City procurement and information technology staff to select a new ILS. Sirsi Dynix’s Blue Cloud/Enterprise system is selected. November 16: Redesigned website launched.